Neck and fit were correct. Lovely, (not non iron!!!) poplin. It was a gift for my son. Too expensive for my regular use! Wish you would have more NOT "non iron" light weight poplin, in more than just white! We iron our shirts, and if you make a mistake with non iron materials you have a crease which is not removable. Poor quality. Impossible to iron. Response from Charles Tyrwhitt: This is certainly most upsetting to see - especially as our luxury shirts are absolutely gorgeous and made from the very best quality cotton. 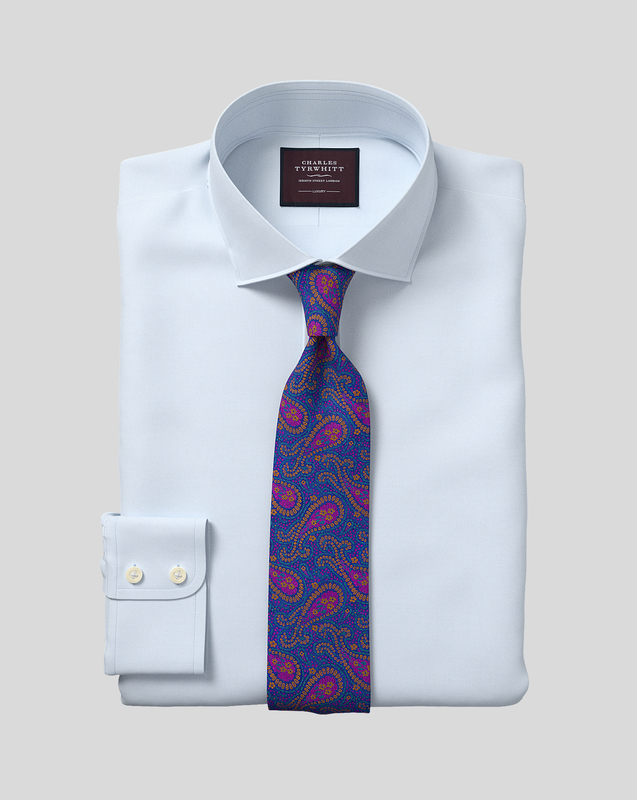 It does rather sound as though you would prefer our non-iron shirts, however, which do tend to be much easier to care for and stay crease-free for longer. I have popped you an email with the return instructions attached. Once we have received your return, a full refund will be provided. Fabulous shirt, very high quality fabric.